Is there any person who enjoy to see simple and boring walls at home? Probably there isn’t anywhere a person like this. Now, if you are in dilemma how to decorate the rooms of your bathroom take a look in this photos below. 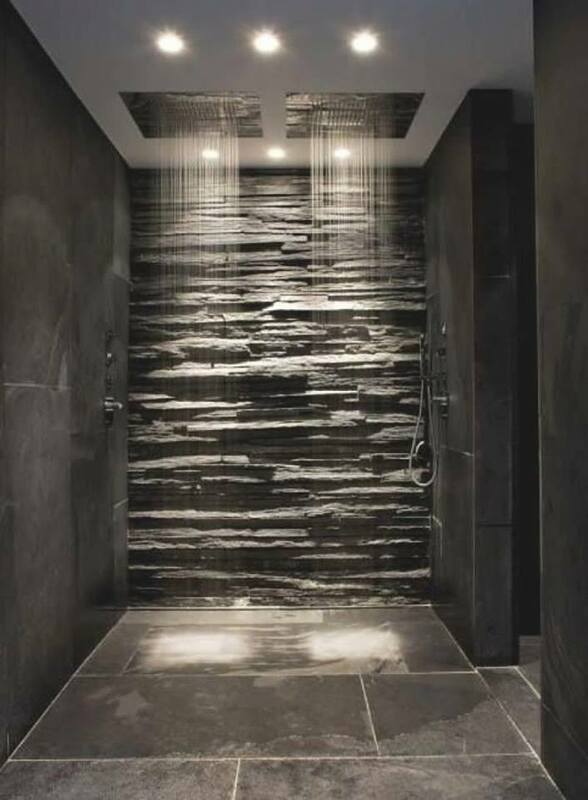 You will see a lot of ideas: stones walk in showers, showers without doors, shower and bathroom walls with wooden bricks, bathroom stone and bricks walls. Stay with us to the end and see what is it about. For MORE IDEAS visit our website and read all the posts we share there each time when we find stunning idea. 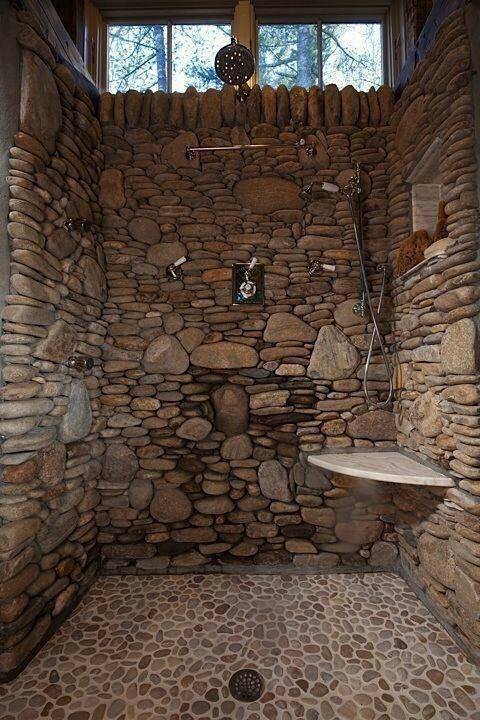 This wall design made with stones and rocks might surprise you. The person who created this wall probably had the most amazing idea and patience for making this creation. AMAZING! 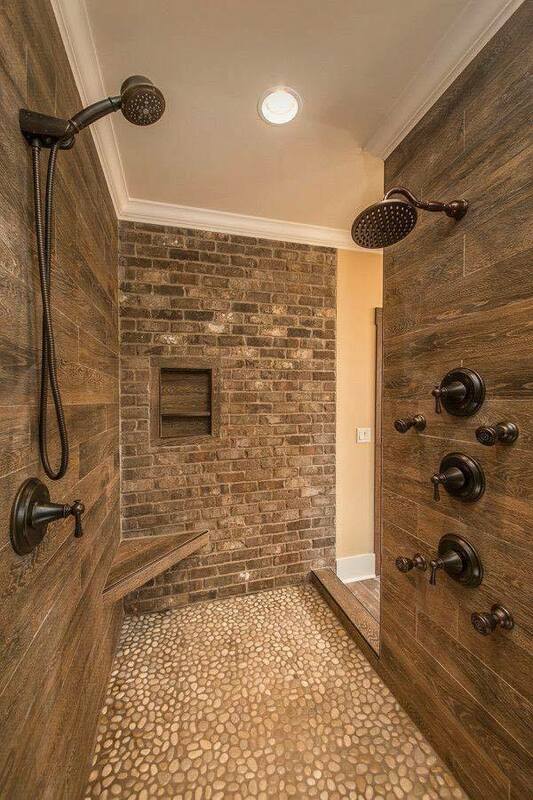 You don’t need any door to the walk-in shower room, of course, if you live alone 🙂 The door isn’t so important as the wall design which can be made with wooden bricks like this in the photo. Why don’t you take a short glimpse? 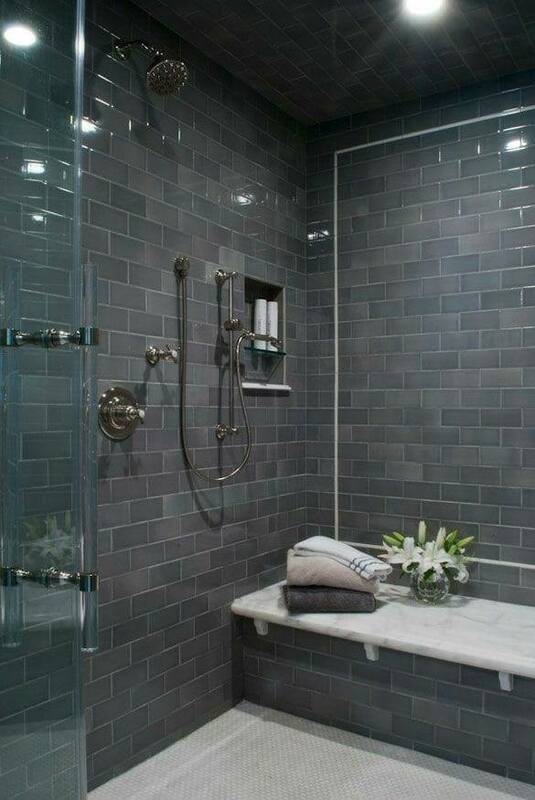 Grey color is great choice to decorate one bath wall and to enjoy in the design. If you are still in dilemma about the final look and result, please take a look in this photo which will be he biggest inspiration for you! 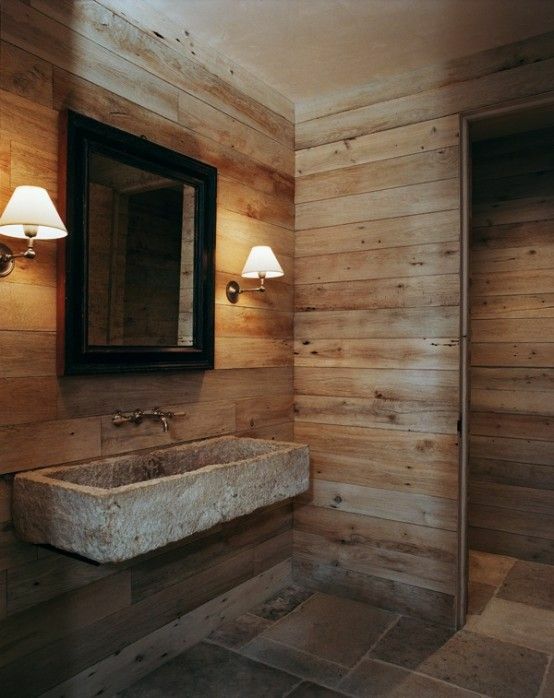 Wood as a material makes every room looking beautiful if it’s used appropriately like its shown here in the photo. This bathroom is plenty, stunning and appealing and I hope that you will like the design. 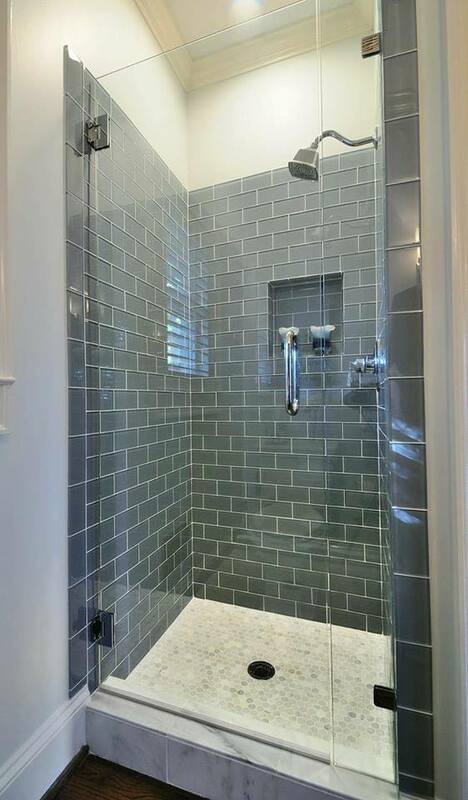 Here we go again with the grey tiles used in bathroom place. 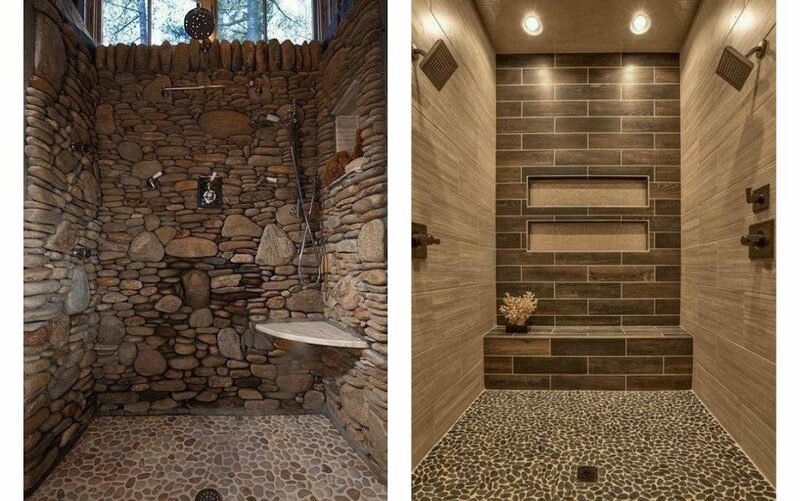 What can I say unless to copy some of these styles at my home and to spend a lot of time in my bathroom while looking in the design and admiring. 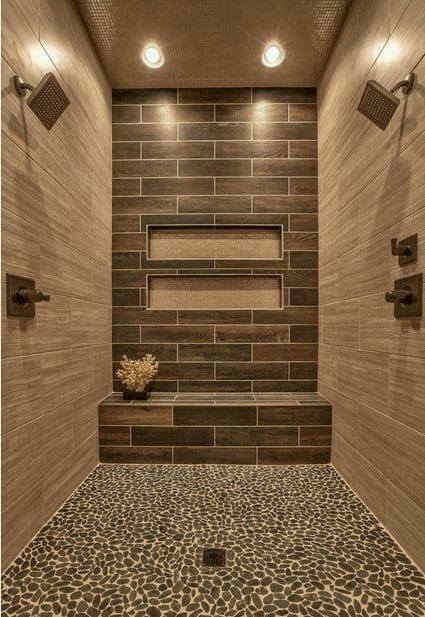 Industrial style of the bathroom reminds a bit to rustic bath like we can see here in the photo. Take a look in this photo and pay attention to these wooden panels that make this bath look appealing. thanks for your attention and here I must say goodbye to you. For the end of this post, I want to wish you nice rest of the day and to invite you to be with us in our next posts that are coming very SOON!